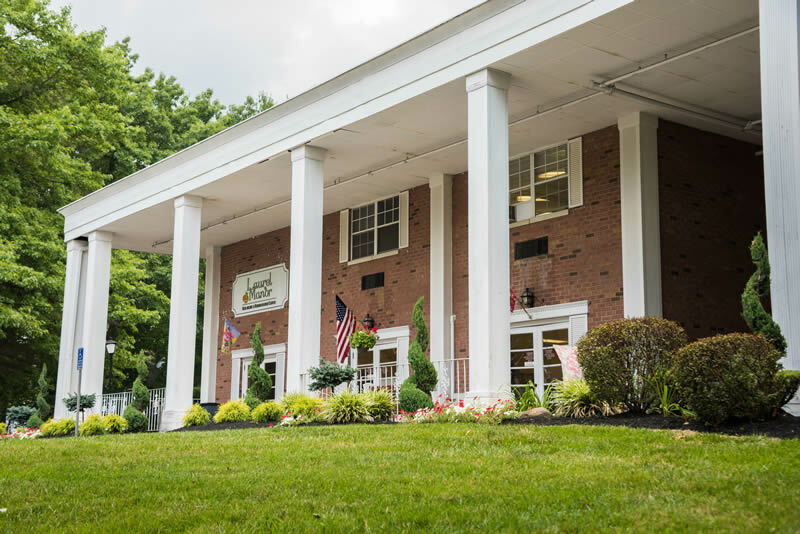 Laurel Manor Healthcare and Rehabilitation Center is a 104-bed, full service facility that provides a comprehensive range of short term and long term care services. Laurel Manor’s residents receive the highest quality treatment by a team of talented and dedicated healthcare professionals. There are ACLS Certified Nurses on both Long Term and Short Term Units, RNs on staff, our Director of Nurses is Wound Care Certified and we have a Wound Care Team that rounds weekly. 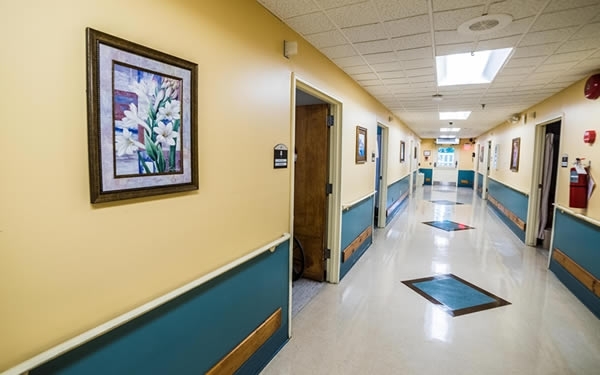 Laurel Manor Healthcare and Rehabilitation Center is a 104-bed, full service facility that provides a comprehensive range of short term and long term care services. Laurel Manor’s residents receive the highest quality treatment by a team of talented and dedicated healthcare professionals. With a high staff-to-resident ratio, caring and committed professional caregivers, and a full range of amenities, Laurel Manor’s short term rehabilitation program will help you get better and get home faster, when recovering from surgery, illness or injury. 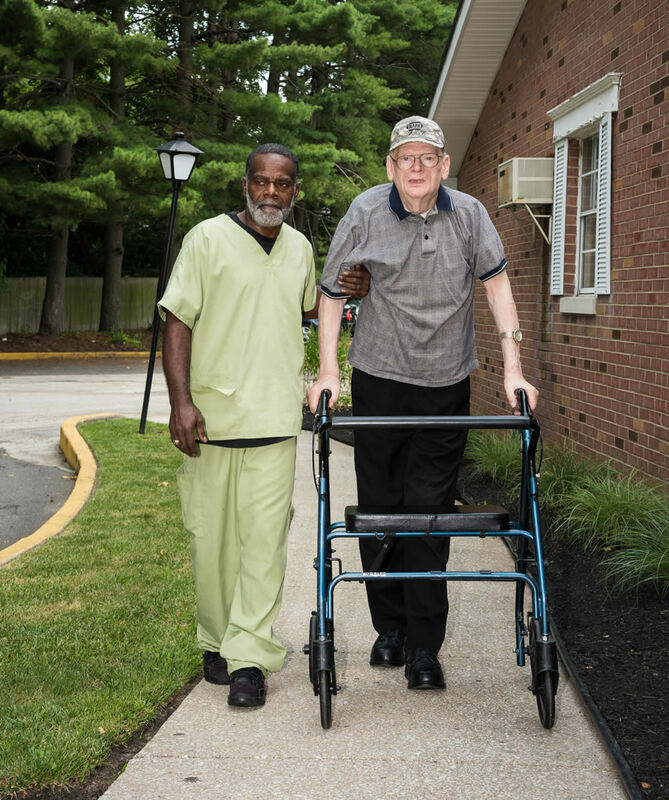 Our long term program offers 24-hour skilled nursing care, personalized treatment options and a high quality of life in a comfortable, homey atmosphere, allowing residents to live independently and with dignity. Laurel Manor continues to pursue its commitment to providing the highest standard of care. We are proud to have recently received a near perfect NJ DOH survey. Contact us today for more information or to arrange a tour of our facility. Patients requiring complex medical care can greatly benefit from a stay at Laurel Manor. Programs are individualized and designed to help residents to become more independent and to improve their health. 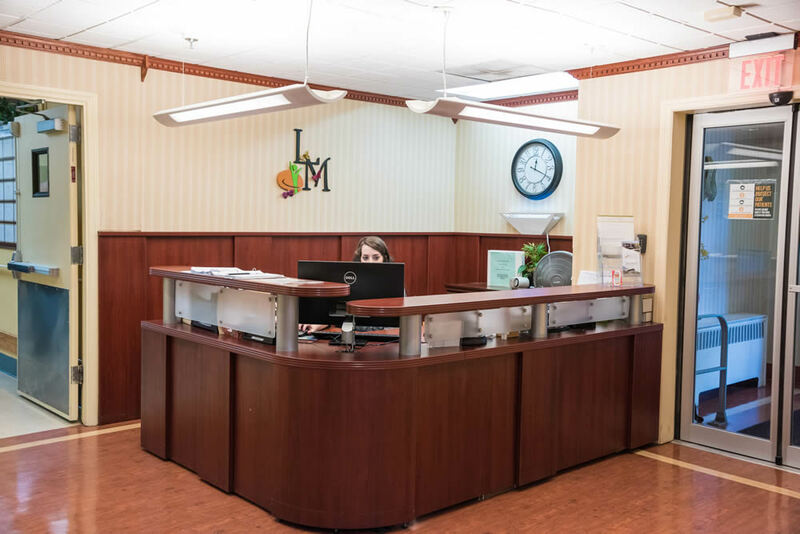 The staff at Laurel Manor is comprised of caring, highly trained professionals who are dedicated to the health and well-being of our residents. Our Registered Nurses, Licensed Practical Nurses and Certified Nurse’s Aides are on the cutting edge of the medical and nursing fields. They work together with residents and family members to meet every health care challenge, from assistance with daily living to providing special treatments such as wound care, respiratory care, pain management, intravenous therapy and post surgical recovery and rehabilitation. Twenty-four hour nursing care also includes administration of medications, ongoing clinical assessment, monitoring changes in resident’s condition, notification to resident’s physician and family of the changes, assisting residents in their emotional, spiritual, social and rehabilitative needs with compassionate and loving service. Focused on providing patients with relief from the symptoms, pain, and stress of a serious illness. Palliative care is specialized medical care for people with serious illnesses.The goal is to improve quality of life for both the patient and the family. At Laurel Manor, palliative care is provided by a team of doctors, nurses, and other specialists who work together to provide an extra layer of support. We are proud to provide intensive therapy services, including physical, occupational and speech therapies, up to seven days a week. Laurel Manor’s staff of physical, speech and occupational therapists helps patients of all ages achieve maximum physical, social, and emotional independence through individualized care plans. We offer the following rehabilitation programs: Physical Therapy Our physical therapy program has been created to improve muscle function, coordination, endurance, range of motion and to assist with wound care and pain management. Occupational Therapy Occupational therapists are available to assist individuals in overcoming and compensating for physical, memory and cognitive issues in order to better adapt socially and engage in physical activities, such as dressing, bathing, eating and grooming. Speech therapy Language pathologists design treatment plans based on the individual needs of residents to improve communication, cognition and swallowing, speech, language and memory skills. Respite care offers short-term, temporary relief to those who are caring for family members at home. Even though many families take great joy in providing care to their loved ones so that they can remain at home, the physical, emotional and financial consequences for the family caregiver can be overwhelming without some support. Respite provides the much needed temporary break from the often exhausting challenges faced by the family caregiver. Respite care has been shown to help sustain family caregiver and patient health and well-being. This program is designed for patients who are discharged from the hospital, but who are not yet ready to return home. Omnicycle Elite VR Scientific Research Review Patients, families and physicians agree that Laurel Manor offers the ideal setting and services to help you heal and get back on your feet faster. If you are seeking short-term rehabilitation following an acute illness or injury, count on us to regain your active lifestyle. We pride ourselves on offering the most progressive treatments available. Rehabilitation services are delivered by highly trained, caring physical therapists, occupational therapists, speech therapists, nutritionists, nursing staff and physicians. At Laurel Manor, staff members work together to create an atmosphere that is conducive to helping patients regain their independence in the most safe and efficient manner possible and work closely with patients and their families to develop individualized treatment programs. Our sub-acute have a particular expertise in the following areas: Stroke Rehabilitation Getting you back on your feet after a stroke is our top concern. The goal of our stroke rehabilitation program is to help you relearn lost skills, regain independence and improve your quality of life. 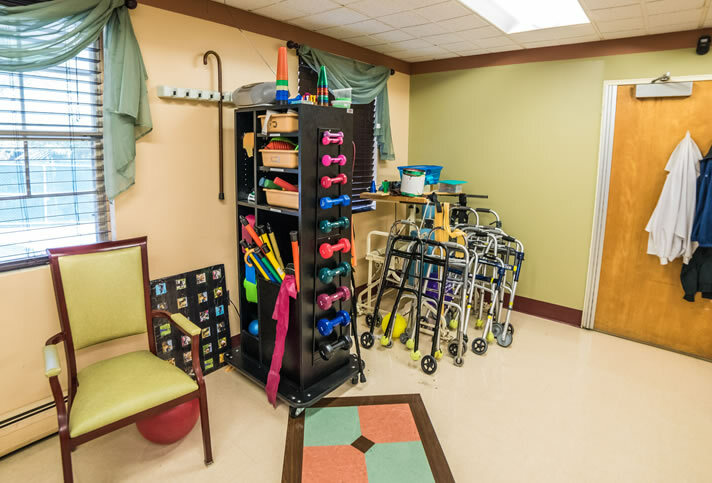 Rehabilitation Laurel Manor’s physical, speech and occupational therapists help patients to achieve maximum physical, social, and emotional independence through individualized care plans. Cardiac Care and Rehabilitation The cardiac care and rehabilitation program provides individually customized rehabilitation, advanced techniques and state-of-the-art equipment to help people with heart conditions recover more quickly, improve overall well-being, and reduce the likelihood of future problems. Wound Care Laurel Manor offers the highest level of wound care for our residents. 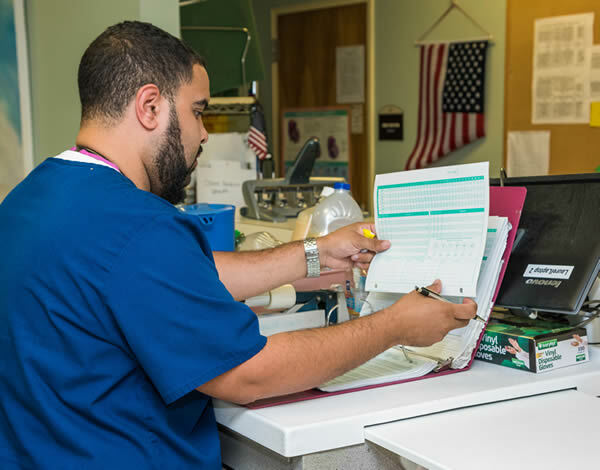 A skilled nurse works closely with each patient to provide wound-care services, such as cleaning wounds, changing dressings, monitoring healing, managing pain and state-of-the-art therapies. Diabetes Care Diabetes is a serious illness and requires extensive attention and care. The comfort and well being of our residents is our top priority. Our skilled nurses offer the highest quality diabetes treatment, monitoring and management in a warm, safe and caring environment. General Surgery Care and Rehabilitation We provide the highly specialized care, advanced treatment and state-of-the-science technologies that enable individuals to rebuild their lives and regain their health after surgery. Oncology and Hospice Care Oncology and hospice care is specialized medical care for people with cancer and other serious illnesses. It is focused on providing patients with relief from the symptoms, pain, and stress of a serious illness. Our goal is to improve quality of life for both the patient and the family. IV Therapy IV therapy is care for patients who need some sort of intravenous therapy, which can include blood transfusions, medications and nutrition. Pulmonary Care and Rehabilitation Laurel Manor’s Pulmonary Care and Rehabilitation program helps patients suffering from COPD, chronic bronchitis, emphysema, asthma, pulmonary fibrosis, and lung transplant candidates to improve their breathing ability, strengthen muscle and have more energy for everyday activities. Amputee Care and Rehabilitation Individuals who undergo the amputation of a limb face a challenging period of physical recovery and a range of complex psychological, emotional and social issues. 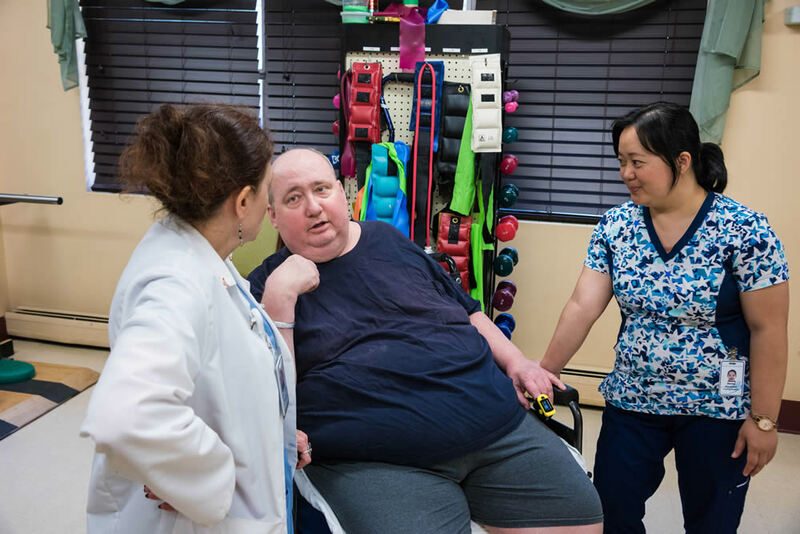 Our team of rehabilitation specialists works closely with each patient to help restore strength and confidence, regain function and mobility, and live an independent life. Post Trauma Care and Rehabilitation Laurel Manor offers comprehensive, multidisciplinary patient care to serve people who have sustained a traumatic injury. We provide a full range of state-of-the-art medical and rehabilitative services. What is a heart failure disease management program? Even when you are not having symptoms,follow-up with your cardiac health care provider is very important to evaluate your condition and your response to medications, especially when you have recently been discharged from the hospital. Lourdes Cardiology Services has joined with Laurel Manor to provide this service for patients recovering or residing at their facility who have the diagnosis of heart failure. Why should I choose Laurel Manor and the heart failure disease management program? Frequent assessment of your current condition by an Advanced Practice Cardiology Nurse, to make sure your treatment and medication plan is right for you, according to national treatment guidelines, in collaboration with a Lourdes Cardiologist. An opportunity to optimize recommended medications for heart failure patients. A chance to improve and maintain your optimum quality of life. A decrease in hospitalizations and emergency department care. Answers to your questions about your heart failure and management advice. Help in arranging palliative nursing care and home care as well as nutrition, pharmacy or social worker support when needed. 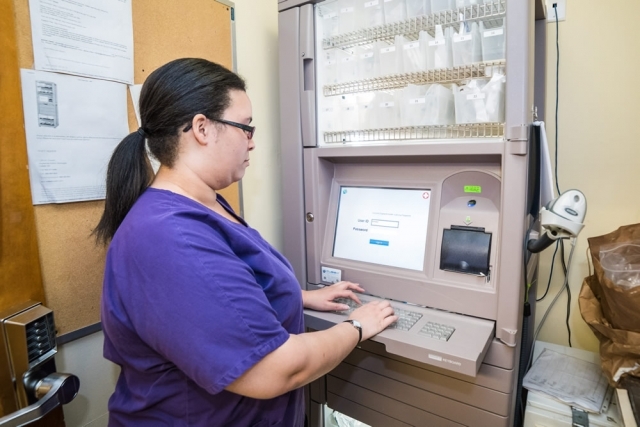 Smooth transition to outpatient heart failure program upon discharge from Laurel Manor for care continuity. Thank you for getting me back on my feet! Our Family is so appreciative of the compassionate care given to our loved one at Laurel Manor. When we leave at night, we are confident that he is in competent and safe hands. Thanks to all! - S.E. My stay here has been more than I could have thought it would have been. I had a chance to go to another Rehab center. I can’t tell you how glad I am that I picked Laurel Manor. I had heard of this place from my brother-in-law when he had been in here, and he loved it. He loved it so much that my husband and I could not get him to come home for holiday meals. He would say “ No, today is bingo (or) today is the string band.” It was always something going on. Well, now I found it out for myself that he was right. I have been here for 47 days. Today I am going home. I would recommend anyone needing Rehab care to come here. The nurses and CNA’s to the housekeeping and Maintenance and kitchen help are great kind people. I got very good care. If the days comes that I would need to come to a place like this again or for permanent, I want my family to know that this is where I want to come, that place is Laurel Manor Healthcare and Rehabilitation Center. - L.B. When the most important people in our lives, our parent’s whom we love and respect, are now elderly and can no longer be independent and care for themselves like they once could and we are unable to give them the care they deservedly need. A huge decision now comes into both your lives that will change both your life and theirs. Where to place your loved one in a facility that will provide Safety, a place you can Trust, Staff you can Reason with, that shows Affection, Treat people with dignity and Friendship. Outgoing, Responsible and Dedicated to give every resident the care they deserve and need. I can honestly say I am quite satisfied that my Mom is living at Laurel Manor. 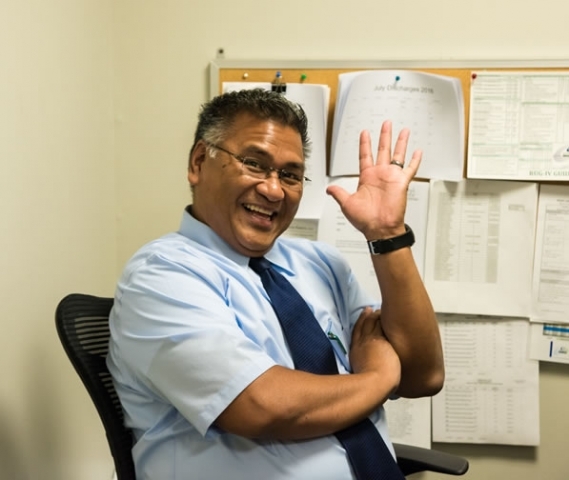 Everyone that works at Laurel Manor is all they can be, to do the best they can at what they do. Thanks. - J.S. Words cannot express my gratitude for the care that you have provided for my mother while at your facility. Since her admission on February 11, 2010 I have noticed such a change in my mother's demeanor and progress. Your staff maintains professionalism and demonstrates that they genuinely care for the welfare of the residents. Changes to Laurel Manor have truly been for the better. My mother's overall experience has been wonderful. Because I am so pleased with her care, I have recommended others in search of a nursing home for their loved ones to tour "The New" Laurel Manor Healthcare and Rehabilitation Center. I sincerely would like to thank all of the staff for their hard work and commitment to providing excellent care. You all have truly exceeded my expectations for what a nursing home experience is all about. Keep up the good work! - T.S.